Sterling silver & Swarovski® crystals. 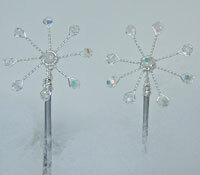 Silver,Swarovski® crystals on bobby pins. Available in Cream, Pink, or White. Goldfilled,Swarovski® crystals on bobby pins. 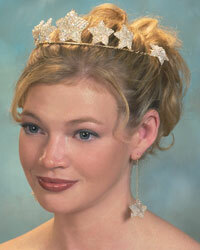 Janet asked us to make hair ornaments from her Mother's Headpiece. 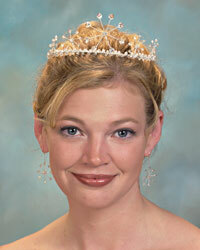 The headpiece is very simular to this 1944's one shown on this Bride's Magazine Cover. with these very delicate blossems.